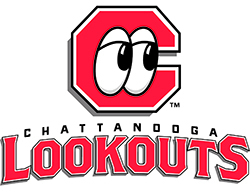 The Chattanooga Lookouts (Class AA; Southern League) say that they are ready to have discussions about a new ballpark, while positioning the venue as part of a larger redevelopment effort. The Lookouts and local officials have been considering a 141-acre former Wheland/U.S. Pipe foundry property and surrounding area as the site of a new ballpark that would serve as an anchor for other amenities. That possibility was outlined in a recent report by the Chattanooga Design Studio, with the study finding that a new ballpark and surrounding amenities has the potential to bring economic activity to the South Broad Street area. In addition, it noted that the site of AT&T Field–current home of the Lookouts–could be freed up for future redevelopment. “Conceptionally, there’s a good chance for a project similar to what we’ve done in other cities and in cities we’re not involved in,” said the Lookouts official whose group has raised ballparks in Fort Wayne, Ind., and Columbia, S.C.
Freier has said the site isn’t just a baseball stadium but a 365-days-a-year venue holding concerts, high school football and soccer and other events. People are conducting upwards of 600 events a year, he said. The current AT&T Field in downtown Chattanooga’s riverfront, built nearly 20 years ago, wasn’t designed or constructed to the standards of today’s stadiums, according to Freier. Costing about $9 million and built by former Lookouts owner Frank Burke, it has become a dated ballpark earlier than others raised at the same time because of the way it was designed and the amount of money used to construct it, he said. In both cases, Parkview Field and Spirit Communications Park were constructed as part of public-private partnerships. Parkview Field has been credited with helping to bring economic activity to downtown Fort Wayne, while Spirit Communications Park has been touted as a major component of the BullStreet development.